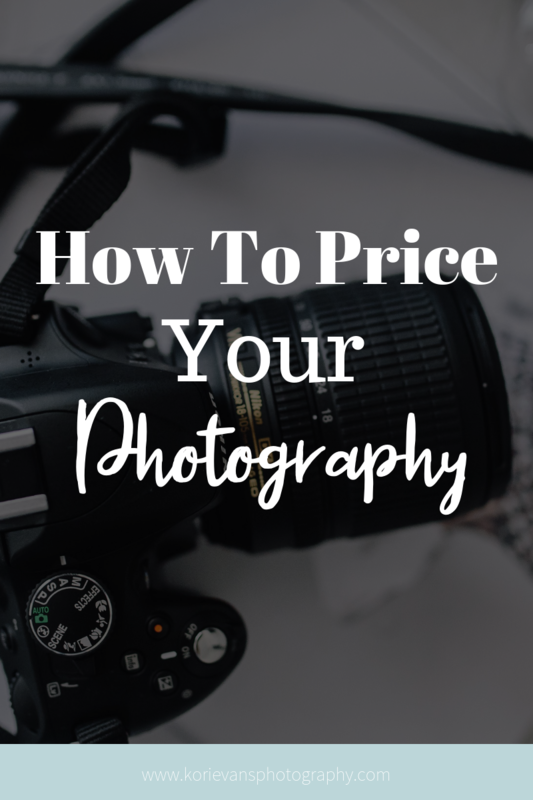 Pricing is a really big struggle for a lot of photographers. There’s so many different ways to go about it, and what works for one photographer won’t work for another. However, there’s still a lot of ideas and principles that can at least help guide you in the right direction for making the best choice for you and your business. But first, let’s talk about the things that go into your pricing. Oftentimes, instead of taking these things into account, photographers will base their prices on what they think their market can handle, what they think people will pay for their services, what they think their services are worth to someone else, or what other people are charging in their area. In other words: they’re basing their prices on everyone and everything else around them except for themselves and what they need and want. This is not only an unsustainable business practice, but it also doesn’t account for the #1 thing on our list - your desired profit. Without profit, you don’t make any money, and you’re basically giving away your time for free. So when calculating your prices, make sure you’re taking into account your desired profit - in other words, how much money you want to take home from your business so you can pay the bills. To wrap your head around figuring out what your desired profit is, start this way. Now use these goals for your business to set the take-home pay you would like to receive (at least at this point; again, things can change over time), divide that amount by 12, and factor it into your monthly expenses. Divide that monthly income by 4 to get a weekly number, and then divide by the number of hours in a week you want to work. You’ll get a general hourly rate that you will measure potential business by. If your expected time on a project will exceed the client’s budget, you should decline the business or find an alternative that suits both of you. Calculating your prices this way is not only more sustainable, but it will also force you to charge what you are worth and pay yourself fairly for your time and energy. Again, let me reiterate: Don’t charge what you think others will pay, charge what you are worth. This is a really important mindset that you need to really internalize if you want to have a successful and profitable business. Each of these groups responds to a different style of marketing and service, and each target group can be successful if you do it right. However, if you attempt to court all of them at once you will be overwhelmed and frustrated. Instead, if you have a particular comfort or talent working with one of these groups, you can and should take steps to make that group your primary revenue base. You will end up being a happier photographer, a more confident salesperson, and you’ll give your business greater longevity — you will want to keep going because you connect with your clients, and you’ll be able to keep going because you’re profitable. Once you understand what your prices should be, the next step is putting it together in a price list. And the price list itself is filled with powerful juju and creates emotional reactions in clients. A simple, easy-to-read price list can soothe worried clients, not to mention is a great conversation starter for a productive sales appointment. On the other hand, overloaded price lists with too many options can create feelings of anxiety and wariness. It’s too much to process at once and clients worry that they’re missing something. Your clients will essentially be paralyzed with choice, and will end up not buying anything. So how do you know what’s just enough and what’s too much? Here’s a simple, general strategy for getting started if you’re overwhelmed at the prospect of re-doing your price lists. Do some research: Find out the items people buy from you most often. Don’t guess; look at the data! Divide those up by price and set up packages based on that. You’re looking for enough items to create 3-5 packages at different levels. Create your basic packages: Include those popular items (taking care not to load the most popular items in the lowest tier), but allow for a limited amount of customization with add-ons. What you’re looking for are combinations where familiar items are highly visible, but there’s room for customizing in a way that won’t kill your profit. Format ordering “menus”: Use lots of eye-friendly white space, which leaves lots of space for clients to make notes in the margins about other things they want. Remember, keep the add-ons separated out. It’s a lot to take in, but it’s crucial to approach your pricing this way if you want to be profitable. Check out these pricing resources that I highly recommend!